The inspiration for the Flits! 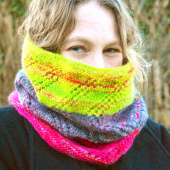 Cowl struck when I had been spinning a gorgeous three-colored thick-and-thin singles yarn: the distinctive lace pattern changes direction whenever a color change occurs. Because of this, the Flits! design is not only perfect for yarns with a limited number of large color blocks, but also for stash-busting similar weight yarns. 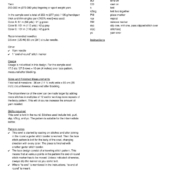 Instructions for the lace pattern are provided in both written and charted format. 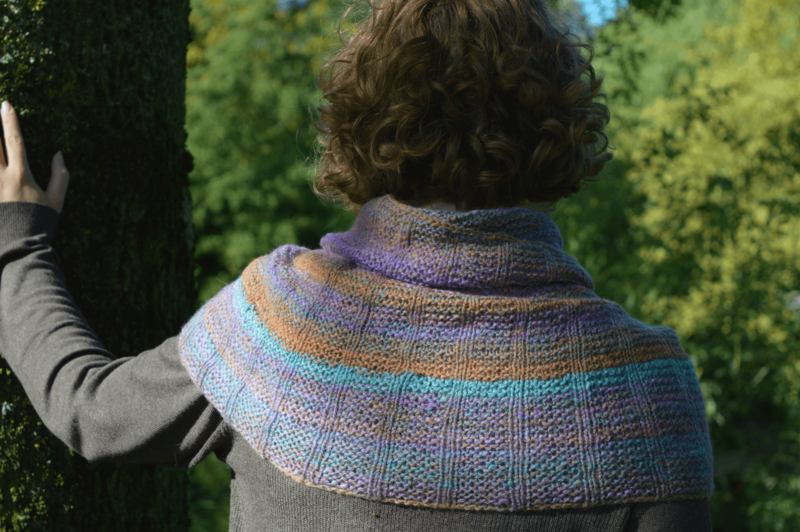 This pattern also contains information on how to adapt the pattern to the amount of yarn for each color you have available, to make a truly unique Flits! Cowl. 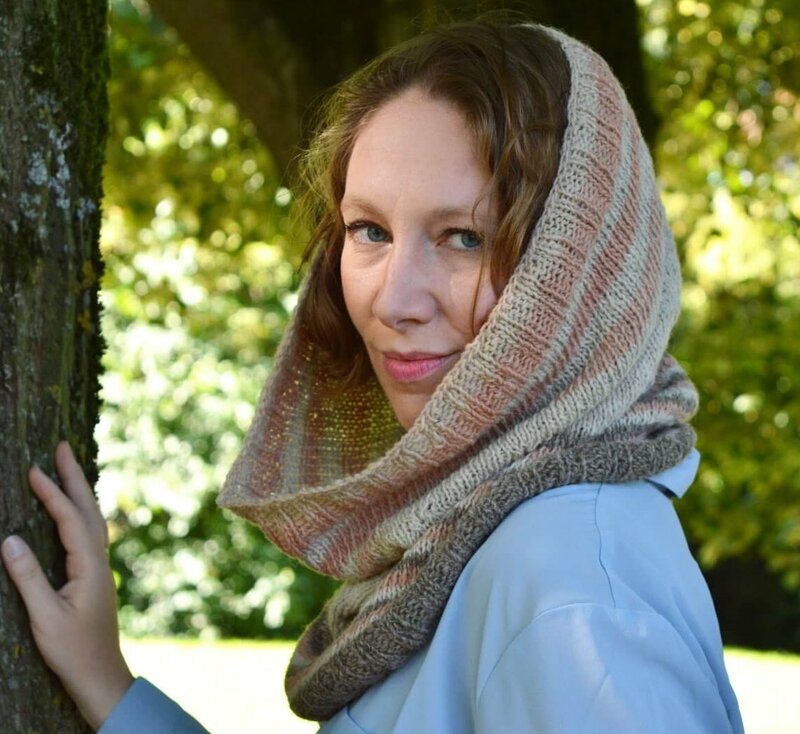 This cowl is knit in the round. 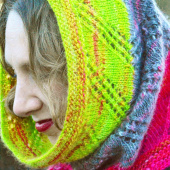 Stitches used include knit, purl, skp, k2tog, and yo. The pattern is suitable for the intermediate knitter. Finished dimensions: 36 cm (14 ¼ inch) wide x 66 cm (26 inch) circumference, measured after blocking.